The study comes as there has been a rise over the last decade-plus in the number of religiously unaffiliated individuals in the United States. According to Burge’s data, the religious “nones” comprised just 5 percent when the GSS was first conducted in 1972. Today, religious "nones" are just under a quarter of the GSS data. While the share of “nones” continues to rise, the number of Catholics and Protestants have dwindled over the years. The two groups were once the two largest religious groups in the nation. In 1972, the two groups comprised over 25 percent of the GSS tally each. Catholics, specifically, are down three percentage points in the last four years, according to Burge’s analysis. 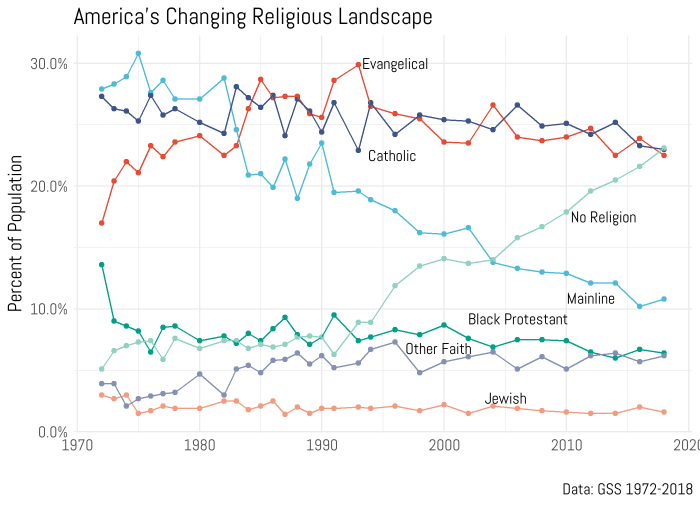 As for evangelicals, their peak came in the early 1990s when the number of evangelicals topped 30 percent. Black Protestants continue to make up less than 10 percent and have not risen above 10 percent since 1972. 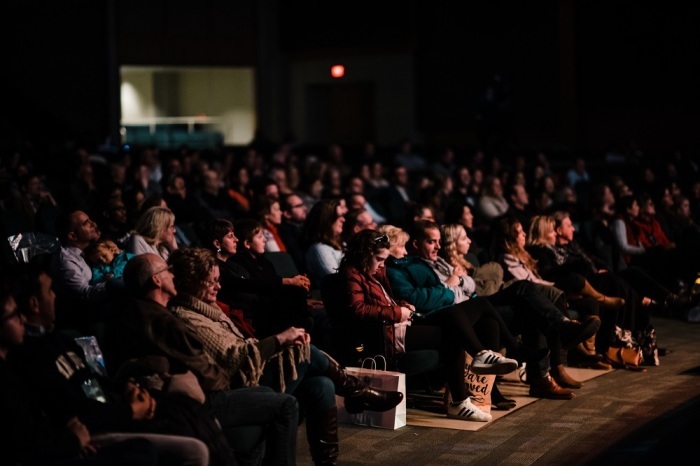 Last year, polling from ABC News and The Washington Post found that between 2003 and 2017, the percentage of adult Americans that profess “no religion” grew from 12 percent to 21 percent. At the same time, the white evangelical portion of the population has shrunk from 21 percent to 13 percent. Also, that poll found that 36 percent of Americans identified as members of Protestant faith (including evangelicals). In 2003, the polling found that 50 percent identified as a member of Protestant faith. Meanwhile, the share of those who self-identify as Catholics (22 percent in 2017) held steady over those years.